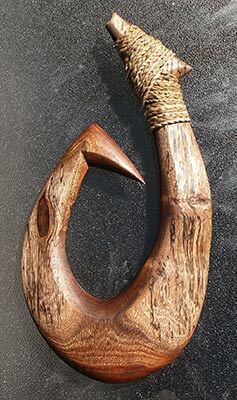 "Ebon Atoll style shark hook replica"
11 inches, carved from Koa, Ebony and Milo. Many sizes and styles available by request. 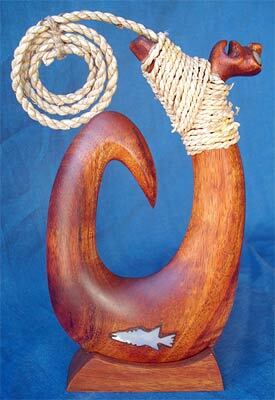 "Hawaiian fish hook" Milo wood oceanic carving. 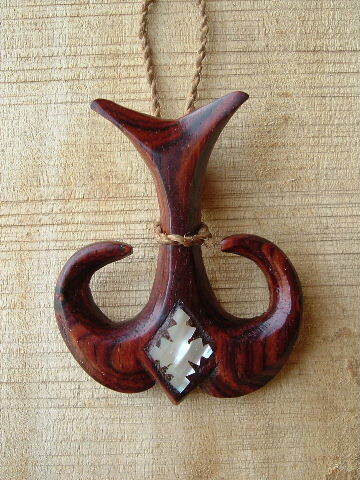 Cocobolo wood carving with Pearl shell inlay. *Note: Pendants and Fish Hooks custom crafted upon request. 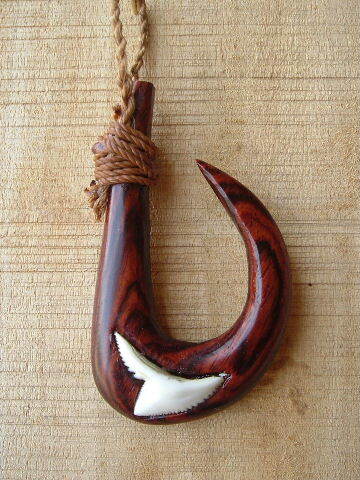 Cocobolo wood carving with Tiger Shark tooth inlay. *Note: Custom crafted upon request. 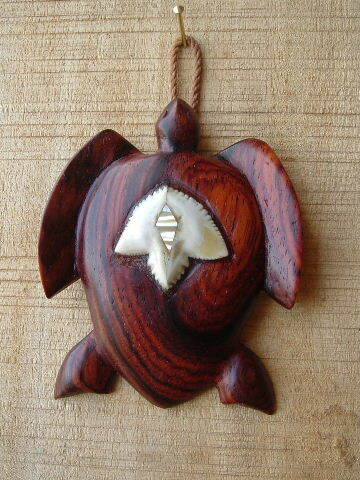 Cocobolo wood carving with Tiger shark tooth and pearl shell inlays. 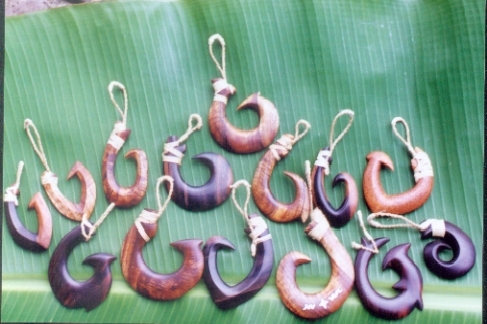 Wood Carved "Replica Fish Hooks", 6"- 9"
wooden fish hook designs carved for personal adornment or display. 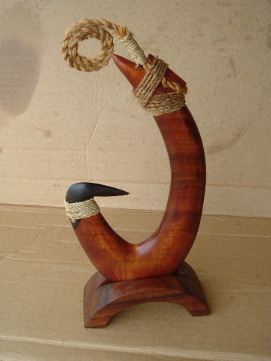 African Mahogony hook inlaid with Ebony dust 10". 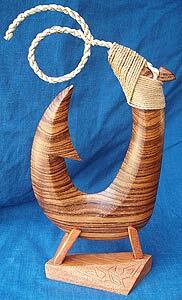 Tokelau fish hook "Nukunonu", Black Locust wood, 10". 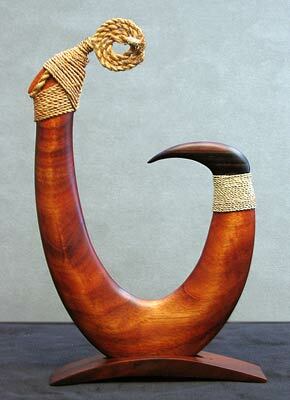 African Mahogony hook "Taumako" inlaid with Sonokeling dust. 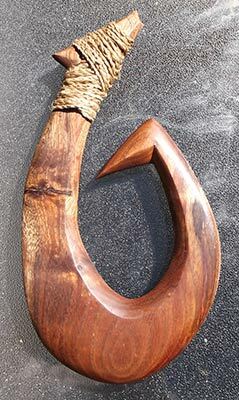 Hawaiian fish hook in Zebrawood, 9"
Hand carved, spalted Hawaiian Koa fish hook (13"). Showing two sides, with base. For Sale. 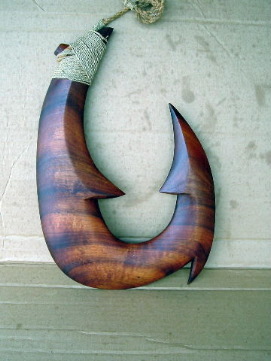 "Maui's Great Fish Hook Manaiakalani"
Koa wood, carved and inlaid with Pearl Shell and ebony, 8", 2010. 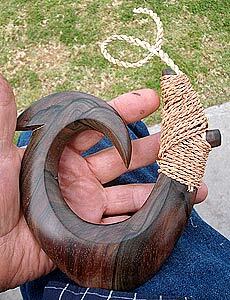 Carved Hawaiian shark hook, Koa and Ebony woods. 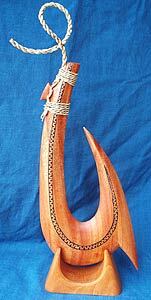 Carved Hawaiian Hook, "Huikala", Koa 10 Inches. 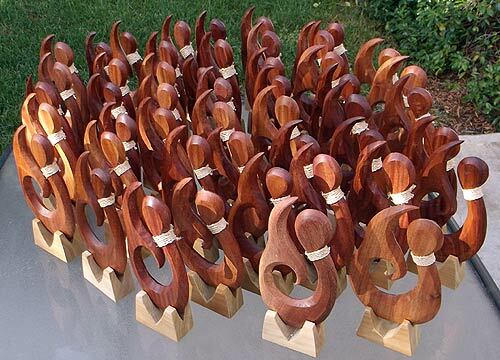 48 Polynesian fish hook gift ornaments for a conference on Maui, Khaya wood. 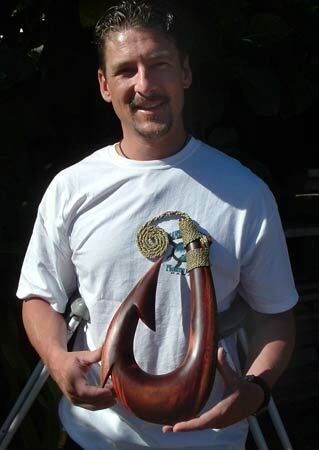 "Hawaiian fish hook presentation trophy for a country club event in Hawaii. 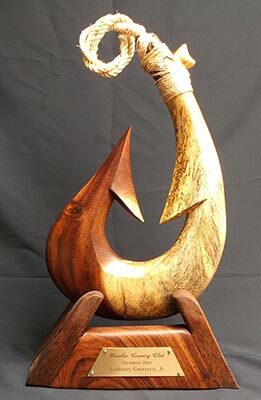 14" carved from spalted Guanacaste wood. 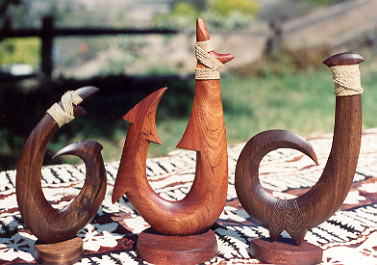 Similar hand carved sculptures upon request. Contact: Richard M. Howell.